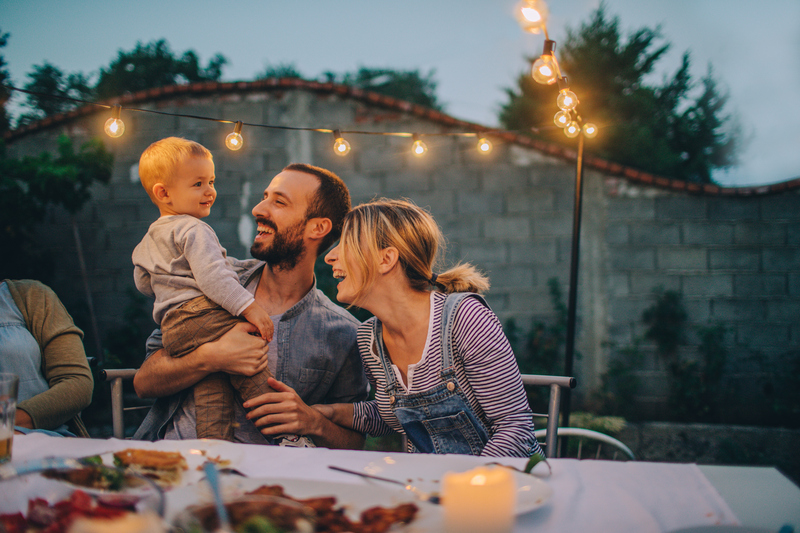 Most millennial couples, expecting their first baby, dream about sharing parenting responsibilities after the birth of their newborn. Most millennial couples expecting their first baby, dream about sharing parenting responsibilities after the birth of their newborn. However, keeping up with the demands of a newborn proves to be difficult especially with pressures at work, thus widening the gap of sharing responsibilities equally. After the first few days of caring for the baby, most dads begin to take a backseat. Studies have shown that couples that are able to share parenting responsibilities lead healthier lives ahead. To help start those responsibilities right, here are some practical tips for the first few weeks after your newborn’s arrival. 1) Take the Paternity Leave: Despite the books you may read to plan for parenting, there is a lot to figure out as you settle in your home with your unique little new bundle. Dads, when you spend the first weeks at home after baby’s birth, it allows you and mom to learn about your baby together. It also gives you a better appreciation of what mom has to go through daily with baby and sets the stage for continued shared responsibilities as your baby grows. The advantages of equal parenting go beyond the baby’s newborn months. A study showed that when dads take paternity leave, moms are healthier and more likely to resume their careers, leading to a better life for the whole family. So if your employer offers paternity leave, taking it in whole or in parts is a good start to sharing parental responsibilities. 2) Pick One Specific Night Shift: It is normal that dads have to resume work sooner while mom’s maternity leave extends for a few weeks. It may not be possible to help with most nighttime feeds and still maintain productivity at work. A practical tip to continue to help with night feeds and manage at-work productivity is to take over one of the night feed that’s closer to midnight. Taking over this one feed may give your partner about a solid four hour stretch to catch up on some much needed sleep, and be prepared for the frequent wake up calls thereafter. 3) Keep a Cheat Sheet: Babies change daily, so the routine you mastered last week may not be the same as the one that’s evolving this week. Working dads find it difficult to stay attuned to their baby’s ever changing needs, making mom the default parent. Moms, creating a quick cheat sheet, that includes simple instructions such as – if baby does this then do that, is a practical way to help dad stay connected and continue to share responsibilities despite the changing routine. Although these tips just cover the first few weeks, they help set the stage for a committed approach to parenting. As the baby grows, each couple will find their own harmony in the parenting journey. It is nature’s law to have one parent lead while the other lovingly supports. No matter what your style, it is important to strike a healthy balance and figure out your roles early and stay committed to playing those roles as the demands of parenting grow and change. That is secret to continued success in equal parenting. Technologist. Engineer. Inventor. One lucky mom and wife. Manasi founded Nested Bean to help parents put their infant sleep challenges lovingly to rest. Seeking a solution to the sleep deprivation she experienced as a new mom, Manasi was inspired by scientific research that suggests the soothing effects of a parent’s touch can be temporarily simulated with Deep Touch Pressure. She designed a revolutionary infant sleepwear line lightly weighted to mimic that gentle touch—and help extend the wide array of health benefits associated with it. Encouraged by overwhelming customer response, Manasi is committed to leveraging her company’s platform to promote infant sleep wellness with new parents, everywhere. Committed to improving the lives of families everywhere, Nested Bean offers the only infant sleepwear scientifically designed to mimic the soothing power of a parent’s embrace, so babies experience longer, more restorative sleep—and parents do, too.